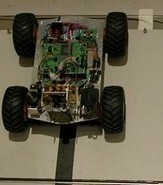 Who already have a soft ware solution for the ROBO-range could extend this with GT-Position to create obstacles and further challenges for the users. 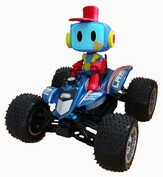 Who's Stunt Robot both drives and flies could be the basis of fun and challenging games on and of the ground. Could introduce even the youngest kids to games in the actual and virtual reality with their wide range of remote controlled vehicles. 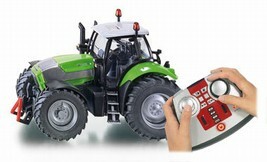 Can create game layouts for their agricultural machinery where users have to maybe plough a field, plant seeds or deliver crops following a specific track or within a set timeframe. It is also possible to track helicopters and make a layout flying both high and low above the floor. Also here it is possible to create obstacles such as incoming missiles etc.